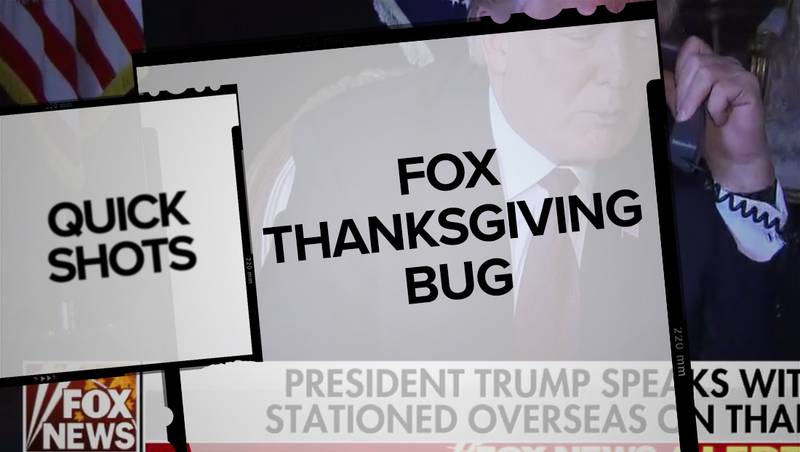 Fox News switched its bug to an orange, gold and brown hue for Thanksgiving Day. The design also included a subtle leaf background as well as a “Happy Thanksgiving” “sliver” that was used at select times. 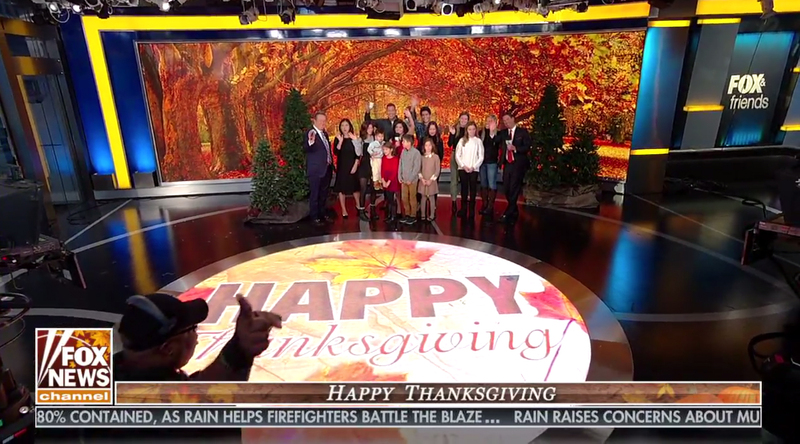 “Fox & Friends” also ended its show with a large fallscape on the Studio F’s curved video wall and Thanksgiving greetings on the circular LED panel in the floor.